Life tends to deal out some weird cards. Behind a bad show of hands, a joker seems to pop up to give us a little light and hope at the end of a dark tunnel. Take for instance, this particular gem of a place. While I had noticed it for some time, I only discovered that it served fabulous nasi lemak when I ate it at the most unlikely of places i.e. a funeral wake. It felt a little weird to be stuffing our faces in a wake. 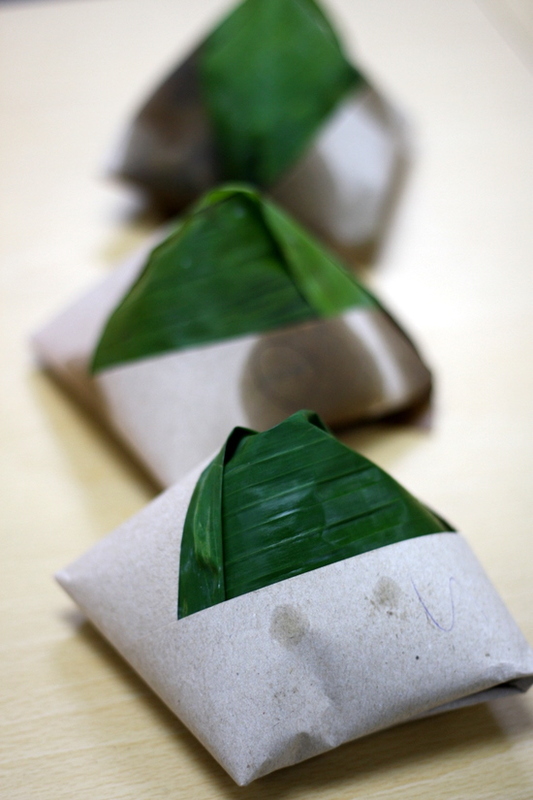 We had politely resisted the alluring nasi lemak packets on the table but some hungry tummies opened a packet that started a string of us falling down to its delectableness. 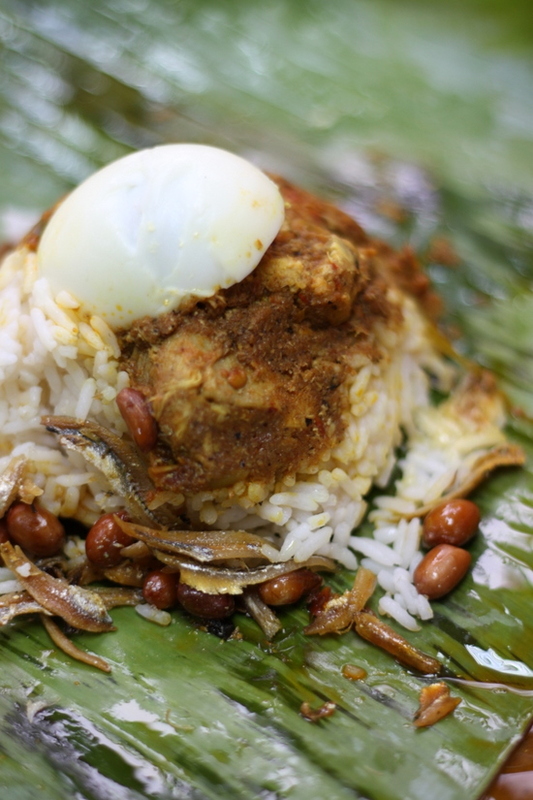 Unlike the fiery sambals usually shoved in the nasi lemak packets, this one has a home made feel with aromatic coconut rice, half a hard boiled egg and a sprinkling of deep fried ikan bilis and peanuts. 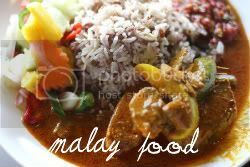 You get a choice of chicken rendang (RM5 per packet) or sambal sotong (RM4.50). 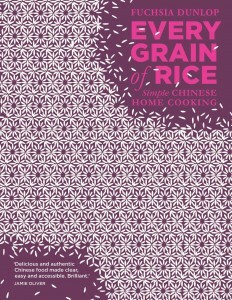 I love both as they taste rather like what mum would have whipped up. 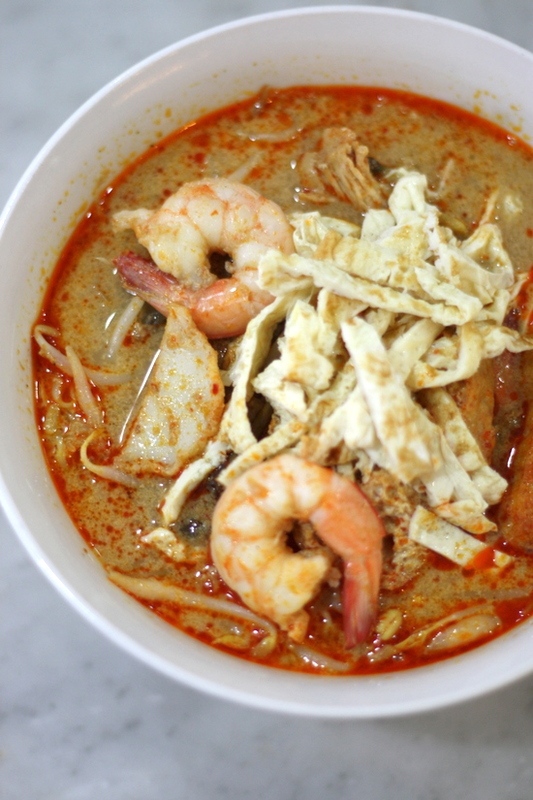 If you dine in, the bakery also serves curry laksa (RM8.50), an honest to goodness bowl packed with fishcake, bean sprouts, prawns, sliced omelette, chicken and tofu puffs. While I would have liked cockles, this version is still rather nice. 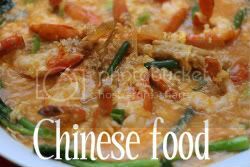 Next time I think I'll try the Hainan noodles or the tomyam bee hoon. There is also toast and breakfast items. 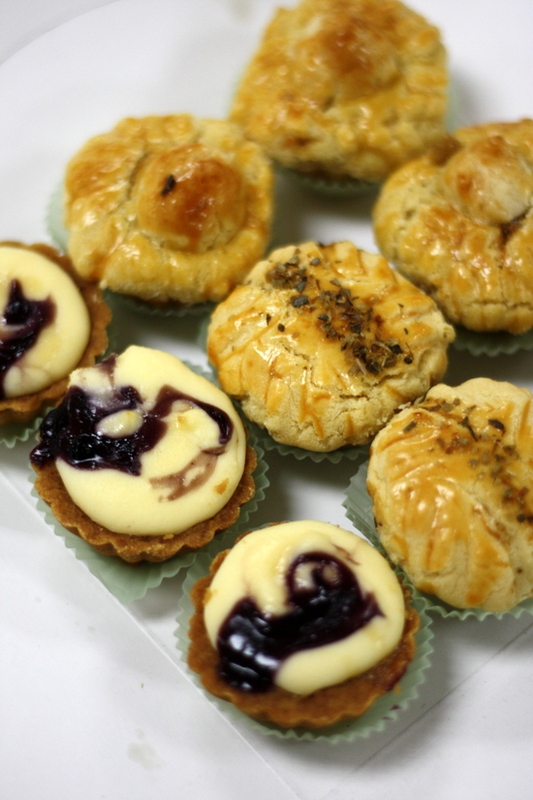 Don't forget to pack back some goodies in the form of tiny tarts for RM1.60 each. I selected an assortment for the office - cheese with blueberry, chicken and apple. The pastry is light as air that has you hankering for more after the tiny bite.